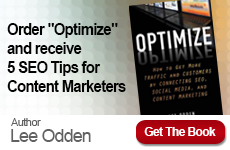 Join TopRank® Online Marketing CEO, Lee Odden, in a free webinar hosted by PRWeb, and learn how you can leverage news content to achieve SEO success! Attend the webinar on March 18 to discover how news can be a powerful tool that directly reaches the millions of people searching for information online. With more than 70 million people reading news online every day, news can (and should) be used for more than just attaining media visibility. For instance, news search engines like Yahoo! News and Google News offer a great way to drive traffic to your website and help generate awareness about a topic or company. Register for the Using Your News To Drive SEO webinar today to discover how you can achieve SEO success. 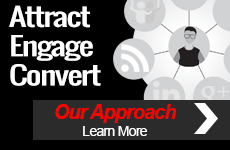 TopRank Online Marketing is a digital marketing and public relations agency in Minneapolis, MN, providing Fortune 500 companies with consulting, implementation and training on search, social media and online PR.